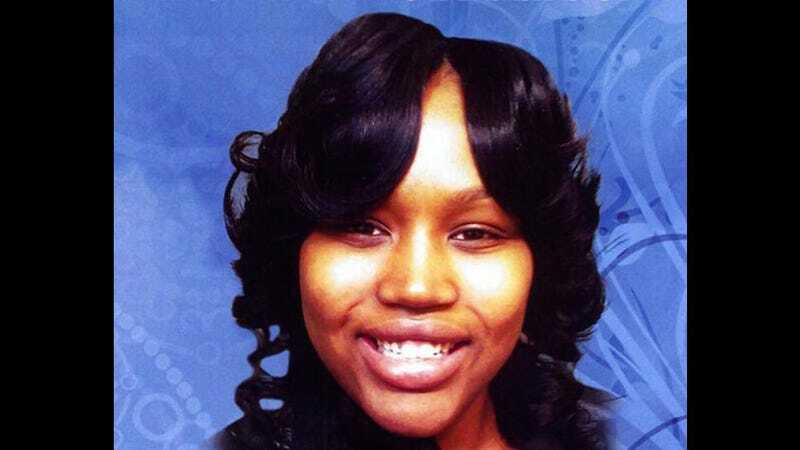 Theodore Wafer, the man who fatally shot Renisha McBride in the face on his porch last fall, has been found guilty of second-degree murder and manslaughter. Wafer may receive life in prison and the possibility of parole. On November 15, 2013, Wafer turned himself in two weeks after shooting McBride who was unarmed, injured and inebriated on his doorstep in the wee morning hours of November 2. He was subsequently charged with second-degree murder, manslaughter and possession of a felony firearm. First, he claimed he shot McBride by accident and later, in self-defense. Earlier this week, Wafer took the stand and pled his case for self defense and even cried as he recounted being awakened early that morning by someone banging on his door, according to the Daily News. "I wasn't going to cower in my house," Wafer said. He said he thought there could have been more than one person outside of his 1,100-square-foot home near the Detroit-Dearborn Heights border. Wafer said he pulled the trigger "to defend myself. It was them or me." "You can never minimize or avoid the impact of race in the criminal justice system. You deal with it as best you can but you can't engage the process naively and think 'Oh, race is no problem.'" This is what life as an African American woman in 2014 looks like; you know what you deserve but you are winded when you get it. This victory isn't just for the McBride family and the Wayne County prosecutors, it's vindication for Trayvon Martin, Jordan Davis and Jonathan Ferrell, who died similarly to Renisha. Here’s to more days like Thursday, August 7, 2014.